I’ve been on another big DIY/try new recipe kick lately. I printed out a bunch of stuff from Pinterest, put them in a binder divided by category, and have been trying to work my way through them. Hmmm. Does that mean I took the Pinterest out of Pinterest? Anyway, I was looking for quick-n-easy recipes with some flavor that are a bit outside the box from what I’d normally think to make, but not really outside of the box that I can’t actually make it, haha. 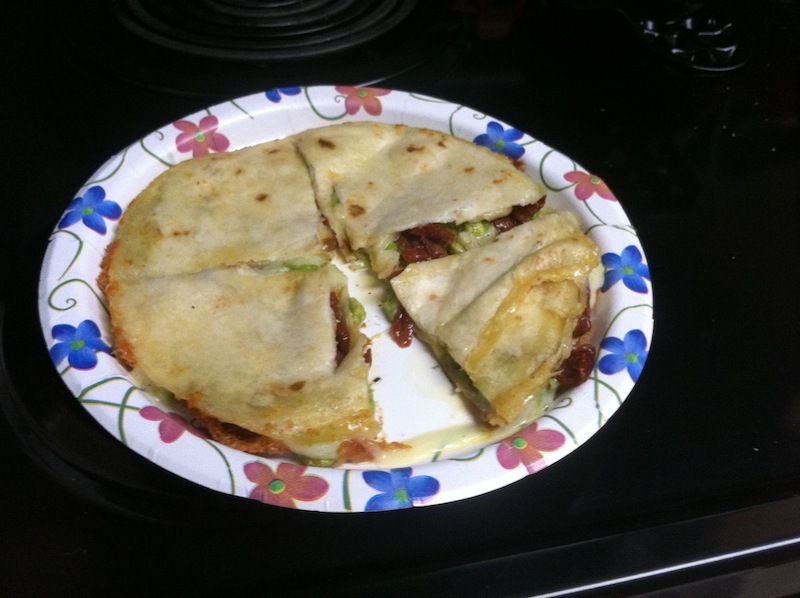 So what I’m trying to say is here’s a recipe for Cheddar, Avocado & Sun-Dried Tomato Quesadillas that I found and made for dinner tonight. I know quesadillas are nothing new, but I’m glad I tried these. If you decide to try them too, hope you enjoy. If anyone has any similar recipes, let me know in the comments, please! Cut up the cheese into slices/grate the cheese so that you’ll have enough to cover the tortilla twice. Smash the avocado. Heat the olive oil in a non-stick skillet over medium heat. Place one tortilla in the pan. Layer half of the cheese on top of the tortilla. 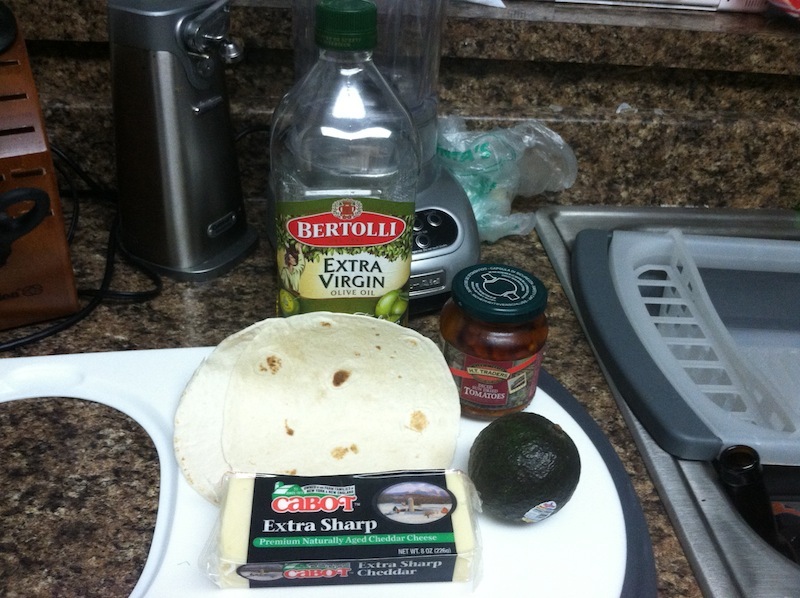 Spread the avocado over the cheese. Put approx. 2 tablespoons of sun-dried tomatoes over the avocado. Finally, put one more layer of cheese on top of everyone. Sprinkle salt and pepper or whatever seasoning you want. I used garlic salt for the one I made for myself because it’s my favorite, but used sea salt and pepper for Jay’s. Place the additional tortilla on top. Cook until golden brown on each side and until the cheese starts to melt. Cut it and eat up! This entry was posted in Arts & Crafts, Food and tagged Pinterest, Recipes. Bookmark the permalink.